When it’s working as it’s supposed to, pet insurance takes the pain out of unexpected veterinary bills so you can focus on getting your dog or cat the medical care needed. But buying a plan without understanding the terms could cost you time and money. Pet insurance plans vary in what they cover and exclude, and even in how they apply the basics, such as deductibles. Look beyond the cute photos of puppies and kittens on plan websites and dig into the policy details to find the best option. Here are 10 points to understand. A young, healthy pet will qualify for any plan, but some plans won’t let you enroll senior pets. Generally, puppies and kittens must be 6 to 10 weeks old at a minimum, depending on the insurer. Although some plans have no maximum age limits, many cut off first-time enrollment at 10 to 14 years. Once you’re enrolled, though, most plans will offer coverage for life as long as you continue paying the premiums. Some plans also require your pet to have seen a vet in the past year, or they’ll require your pet to undergo an exam before they’ll sell you a policy. Some pet insurance companies offer accident-only plans as well as more comprehensive plans covering both accidents and illness. An accident-only plan covers treatment of injuries after a mishap, such as a car accident or poisoning (think dog plus chocolate). If you have an accident-only plan, the insurance company won’t pay a cent if your best pal gets sick. Here are some of the areas where coverage can vary among plans. Alternative and behavioral treatment: Some plans cover behavioral care and a wide range of alternative treatments, such as acupuncture and chiropractic care. Others don’t cover them at all, or companies limit such coverage to the most expensive plans. If you want coverage for alternative medical care, read the details of which treatments are covered, because there is no standard definition of alternative care. Continual treatment: If your pet develops a condition, some plans won’t extend coverage for it in the next year after your policy renews, unless you pay extra for continual care. Exam fees: Some plans reimburse you for procedures and drugs but don’t cover exam fees, either for routine checkups or when your pet is sick. 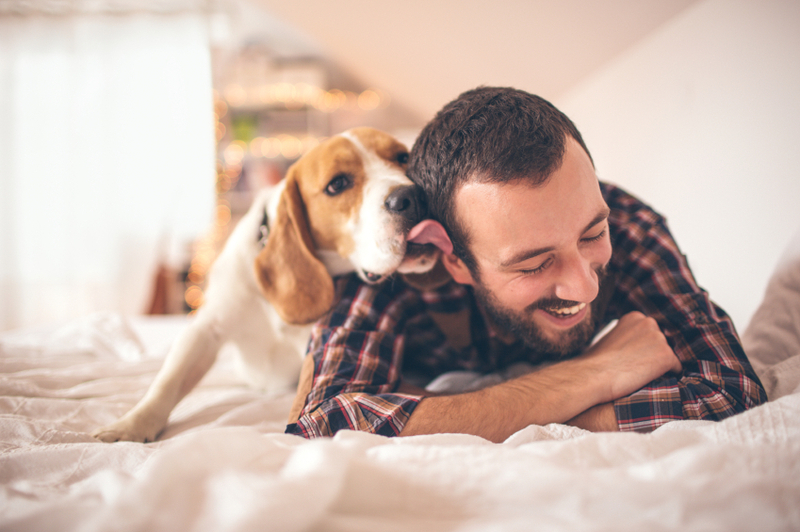 Routine and wellness care: Most plans don’t cover the basics like annual vaccinations, spaying, neutering and teeth cleaning; many pet insurance companies do offer the option of adding such coverage, but it will carry an additional cost. A few plans don’t cap how much they’ll pay out for covered treatments, but most plans have maximum payouts. Here’s where you need to read the policy language carefully. There may be a payout limit for the year, for your pet’s lifetime or for a type of incident or condition. Or there might be a combination of caps. The deductible is the amount you pay out of pocket before the insurance company starts paying. Under some pet insurance plans, the deductible is applied annually. Once you’ve paid the deductible toward covered treatment, the plan starts reimbursing you. The deductible is reset when you renew the policy each year. Under some other plans, the deductible is applied per incident. Once you pay the deductible toward treatment of a particular injury or illness, the plan reimburses you up the policy’s limits, even in subsequent plan years. The downside? If your pet develops a few different medical problems in one year, you have to pay the deductibles for each one. Pet insurance plans don’t cover pre-existing conditions, but the definition of “pre-existing” varies. In most cases, a pre-existing condition is a medical problem that was apparent in your pet before you bought the policy. However, some plans will cover past conditions that have been cured for a certain number of months. Besides pre-existing conditions, some plans exclude coverage for certain illnesses and conditions. For example, some insurers won’t cover hip dysplasia, a genetic disorder in which the hip joints fail to develop normally; it’s common in large dogs but can also be found in cats. Pet insurance plans have waiting periods for coverage to begin after you sign up. Typically, the coverage for injuries from accidents begins within a day or two. The waiting period for illness coverage is usually longer — 14 days or more. There might also be waiting periods of several months to a year or more for orthopedic problems. In such cases, if your pet needs treatment during that crucial time period, the plan will pay nothing. Pet insurance plans reimburse you a percentage of the treatment costs. You choose the reimbursement level when you buy the policy, such as 70%, 80% or 90%. Read the details of how reimbursement works. Some plans reimburse you a percentage of the vet’s bill. Others reimburse you a percentage of the “usual and customary charges” for treatment. Any amount the veterinarian bills you above that is your responsibility. Confusion around reimbursement is one reason California passed a law in 2014 requiring pet insurance companies to disclose important information about their policies and provide a 30-day “free look” period. For example, one California consumer bought a pet insurance plan that promised a 90% reimbursement rate. But after his dog developed cancer, the plan covered only 90% of the amount allowed under its “benefit schedule,” which set maximum payout amounts for medical care based on the diagnosis. The result? He was reimbursed only one-third of the cost of his dog’s cancer diagnosis and treatment. The average annual premium for a pet insurance policy covering accidents and illness in the U.S. and Canada was $433 in 2014, according to the North American Pet Health Insurance Association. The average annual premium for an accident-only plan was $154. Your pet’s age and breed: The older your pet is, the more you’ll pay. Some breeds are more expensive to insure than others because they tend to have more health problems. Your ZIP code: Local costs of veterinary care affect premiums. Amount and type of coverage: The more the policy covers, the more you’ll pay. Reimbursement level and deductible: The lower the reimbursement level and higher the deductible, the less you’ll pay for the plan. Insurance company: Prices vary by company. Determine the type and amount of coverage you need and then get quotes for pet insurance from several companies. Compare prices of policies with similar reimbursement levels, deductibles and annual payout limits, and before you buy, read the fine print to make sure you didn’t miss anything in the restrictions and exclusions. Pet insurance will reimburse you for the treatment of illness and injuries. Some plans cover hereditary problems, prescriptions, cancer treatment and more. You'll find a variety of coverage amounts and deductible levels.